These big cats are losing key habitat to deforestation. The jaguar needs your voice. Jaguars are intricately spotted and uniquely elegant creatures. They roam miles and miles into tropical forests, gracing the planet with their prowling beauty. 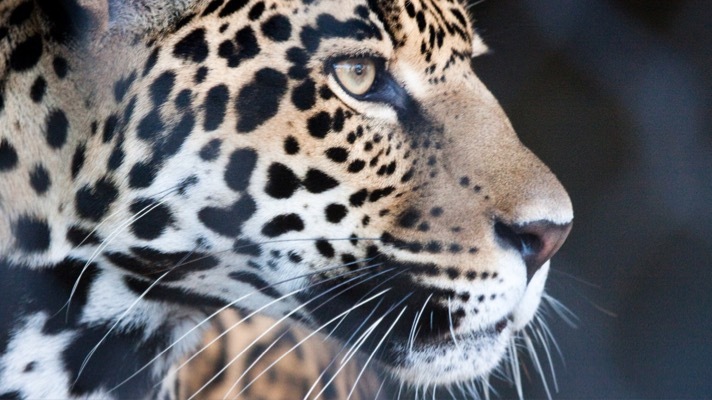 Why are jaguars and other rare and threatened species losing their home? Well, in part it’s so some of the world’s largest agricultural commodities companies can trade and sell palm oil and soybeans. To save jaguars and other threatened species, we must protect their home — the world’s tropical forests. That’s why we’re calling on one of the world’s largest agricultural companies based right here in the U.S., Cargill, to commit to zero deforestation in all of their supply chains by 2023. We can’t allow the drive for companies to produce more soybeans and palm oil — for use in animal feed and our everyday products — to destroy vitally important tropical forests. So we’re taking action — calling on U.S.-based Cargill to end deforestation in all of its supply chains, and fast. Every minute we wait, jaguars are losing more of their home. Take action right now by adding your name to our petition to Cargill. 1. “Jaguar,” National Geographic, Accessed October 25, 2018. 2. Stephen Leahy, “Tropical Forest Loss Slowed in 2017–To the Second Worst Total Ever,” National Geographic, June 27, 2018. 3. “Jaguar,” National Geographic, Accessed October 25, 2018.